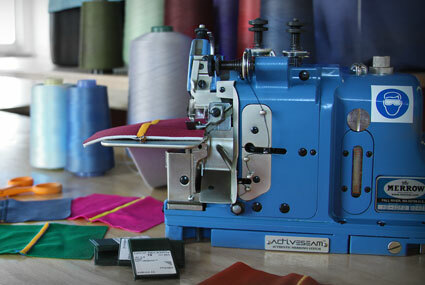 The development of ActiveSeam occurred over four years. 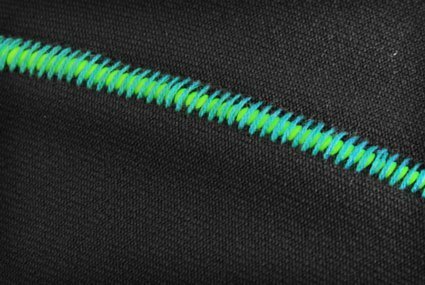 Challenged to create a perfectly flat seam that would replace Flatlock, the team at Merrow worked from 2008 until 2012 to refine and develop the ActiveSeam class of stitches. 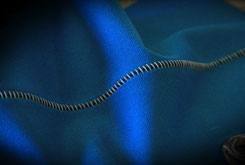 The program was a collaboration between Merrow's engineering team, sewing team and machine building team. 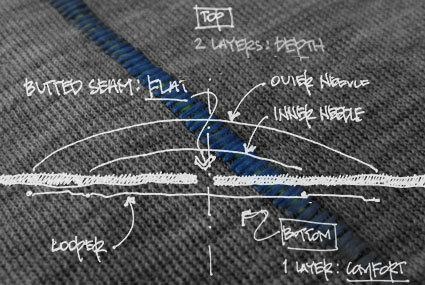 The process continues today, with new developments and mechanical breakthroughs changing the ActiveSeam stitch every day. 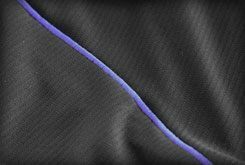 After years of work Merrow produced ActiveSeam; a NEW class of stitch that is Flat, Comfortable, Beautiful, Durable and designed for performance apparel. 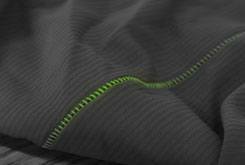 ActiveSeam Performance Advantages: The Seam is almost undetectable when applied next to skin! 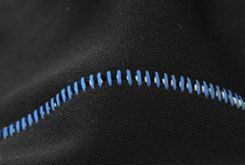 With more stretch built into the seam, the garment can be designed to fit the human body better without restricting athletic movement. 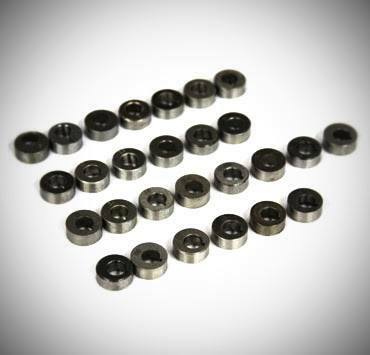 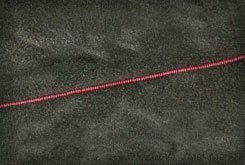 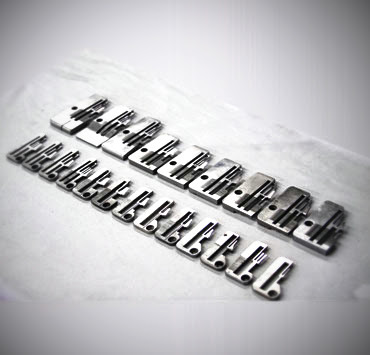 When compared to a flatlock stitched seam (4 needle 6 thread, ISO 607) with identical thread, fabric, and SPI, both ActiveSeam 2 & 3-thread seams proved to be more than 30% stronger and had the ability to stretch (linear travel) 100% further. 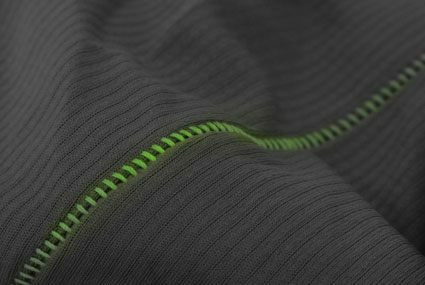 The signature version of Activeseam allows a designer to add depth and color to a garment. 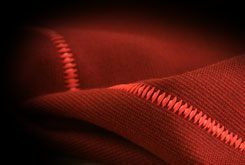 A two thread seam, the Comfort stitch is designed to be soft on the skin. 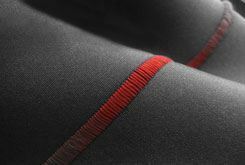 A Comfort seam may be used on everything from Yoga clothing to delicate lingerie. 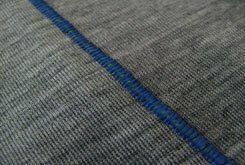 The two thread Slim ActiveSeam presents both a new design option as well as a comfortable alternative to simple overlock seaming. 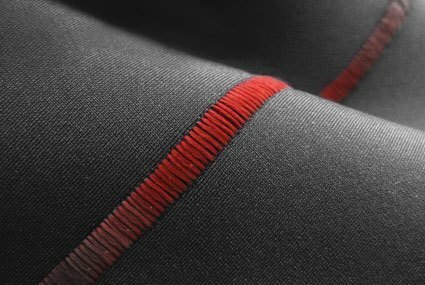 For apparel that require discrete detail, the Slim ActiveSeam is the perfect choice. 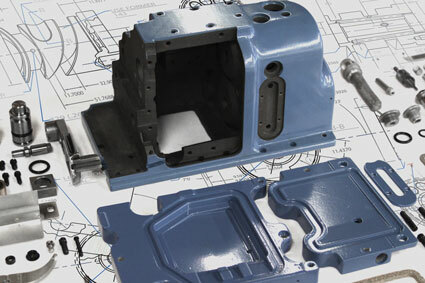 Material handling is controlled by the Feed Dogs. 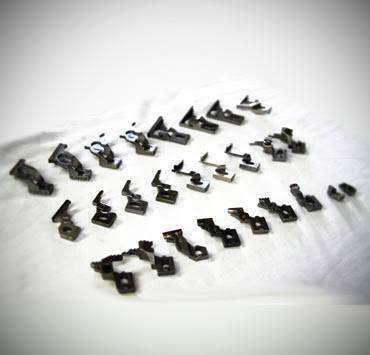 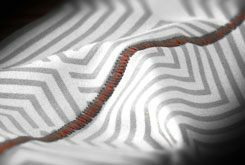 With many different styles available for ActiveSeam machines, the delicate issue of ensuring that fabric passes through the machine perfectly is no problem. 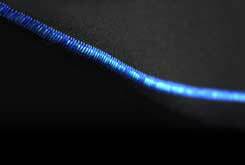 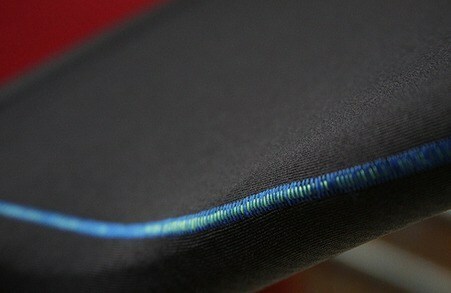 Activeseam is a Branded Stitch from Merrow;. 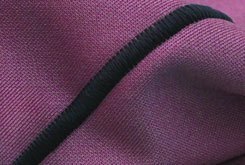 Technically advanced, it is available for license to clothing manufacturers and designers that care about quality garment construction.